Who doesn't love a corset? 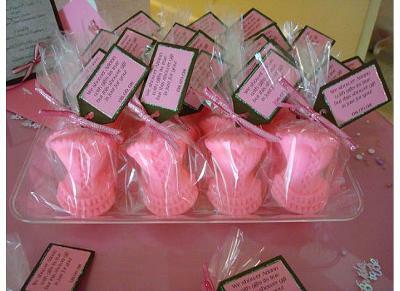 Perfect favor idea for a girly bridal shower. Not to mention this is a favor your guest can use! Customizable for any bridal shower color and very affordable! These adorable favors can be found at www.2cute4youfavors.etsy.com.